There was another big win in the advancement of immunotherapy treatments for cancer this week. The Food and Drug Administration approved an immunotherapy drug called Keytruda, which stimulates the body’s immune system, for the first-line treatment of patients with metastatic non-small-cell lung cancer. In other words, the drug could be the very first treatment a patient receives for the disease, instead of chemotherapy. Keytruda is the only immunotherapy drug approved for first-line treatment for these patients. So it seems, the future of cancer care may be in our own immune systems, but how exactly does it work, and what are its pros and cons? “It’s certainly going to become an independent way of treating cancers,” said Dr. Philip Greenberg, head of immunology at the Fred Hutchinson Cancer Research Center in Seattle, during a Q&A session at the International Cancer Immunotherapy Conference in New York in September. Here’s a look at the past, present and future of cancer immunotherapy. In the summer of 1890, 17-year-old Elizabeth Dashiell, affectionately called “Bessie,” caught her hand between two seats on a passenger train and later noticed a painful lump in the area that got caught, according to the Cancer Research Institute. She met with a 28-year-old physician named Dr. William Coley in New York to address the injury. He performed a biopsy, expecting to find pus in the lump, probably from an infection. But what he found was more disturbing: a small gray mass on the bone. It was a malignant tumor from a type of cancer called sarcoma. Dashiell had her arm amputated to treat the cancer, but the disease quickly spread to the rest of her body. She died in January 1891. A devastated Coley went on to devote his medical career to cancer research. Coley is sometimes referred to as the “father of cancer immunotherapy,” according to the Memorial Sloan Kettering Cancer Center. During his career, he noticed that infections in cancer patients were sometimes associated with the disease regressing. The surprising discovery prompted him to speculate that intentionally producing an infection in a patient could help treat cancer. To test the idea, Coley created a mixture of bacteria and used that cocktail to create infections in cancer patients in 1893. The bacteria would sometimes spur a patient’s immune system to attack not only the infection but also anything else in the body that appeared “foreign,” including a tumor. In one case, when Coley injected streptococcal bacteria into a cancer patient to cause erysipelas, a bacterial infection in the skin, the patient’s tumor vanished — presumably because it was attacked by the immune system. Coley’s idea was occasionally studied by various researchers in the 1900s but was not widely accepted as a cancer treatment approach until more recently. “Immunotherapy has essentially undergone a sort of revolution in the last decade in the sense that something that was experimental — and there were still questions about what role it would have in the way cancer is treated — is completely turned around, and now it’s clear it’s effective,” Greenberg said. German physician Dr. Paul Ehrlich, who won the Nobel Prize in physiology or medicine in 1908, proposed using the immune system to suppress tumor formation in the “immune surveillance” hypothesis — an idea that seems to follow Coley’s. Yet it wasn’t until the early 2000s that the hypothesis became more widely accepted, according to the Cancer Research Institute. A landmark review published in the journal Nature Immunology in 2002 supported the validity of cancer immunosurveillance. “Cancer immunotherapy really refers to treatments that use your own immune system to recognize, control and hopefully ultimately cure cancers,” said Jill O’Donnell-Tormey, CEO of the Cancer Research Institute, during the conference in New York last month. One of the most famous cancer patients to have received a form of immunotherapy is former President Jimmy Carter, who had a deadly form of skin cancer called melanoma. Last year, he announced that he was cancer-free after undergoing a combination of surgery, radiation and immunotherapy. Carter was taking Keytruda. It’s approved to treat melanoma, non-small-cell lung cancer, and head and neck cancer. However, it’s not the only approved immunotherapy option out there. “The advances and the results we’ve seen with using the immune system to treat cancer in the last five years or so are turning the practice of oncology on its head,” said Dr. Crystal Mackall, a professor at the Stanford University School of Medicine and expert on cancer immunotherapy. Immunotherapy comes in many forms — treatment vaccines, antibody therapies and drugs — and can be received through an injection, a pill or capsule, a topical ointment or cream, or a catheter. The FDA approved the first treatment vaccine for cancer, called sipuleucel-T or Provenge, in 2010. It stimulates an immune system response to prostate cancer cells and was found in clinical trials to increase the survival of men with a certain type of prostate cancer by about four months. Another treatment vaccine, called T-VEC or Imlygic, was approved by the FDA in 2015 to treat some patients with metastatic melanoma. Some antibody therapies have been approved, as well. Antibodies, a blood protein, play a key role in the immune system and can be produced in a lab to help the immune system attack cancer cells. The FDA has approved several antibody-drug conjugates, including Kadcyla for the treatment of some breast cancers, Adcetris for Hodgkin lymphoma and a type of non-Hodgkin T-cell lymphoma, and Zevalin for a type of non-Hodgkin B-cell lymphoma. The FDA also has approved some immunotherapy drugs known as immune checkpoint inhibitors. They block some of the harm that cancer cells can cause to weaken the immune system. Keytruda, which Carter took, is a checkpoint inhibitor drug. Other such drugs include Opdivo to treat Hodgkin lymphoma, advanced melanoma, a form of kidney cancer and advanced lung cancer. Tecentriq is used to treat bladder cancer, and Yervoy is used for late-stage melanoma. Additionally, there are many immunotherapy treatments in clinical trials, such as CAR T-cell therapy. The cutting-edge therapy involves removing T-cells from a patient’s immune system, engineering those cells in a lab to target specific cancer cells and then infusing the engineered cells back into the patient. The treatment is being tested to treat leukemia and lymphoma. “The real excitement now in cellular therapy, in T-cell therapies, is it reflects the developments in an area that we call synthetic biology, which is that you can add genes to cells and you can change what they do, how they behave, how they function, what they recognize,” Greenberg said. The high price of new immunotherapy drugs has also garnered attention in the field, according to the Fred Hutchinson Cancer Research Center. For instance, some estimates suggest that checkpoint inhibitor treatments could cost as much as $1 million per patient. As approvals continue, many scientists caution that doctors and patients alike should prepare for potential severe side effects and downsides. Boosting the immune system with such therapies may cause skin reactions, flu-like symptoms, heart palpitations, diarrhea and a risk of infection. New cancer immunotherapy drugs have even been linked to arthritis in some patients. A clinical trial conducted by Juno Therapeutics to test the effectiveness of an experimental immunotherapy treatment for lymphoblastic leukemia was halted after three patients died. They suffered cerebral edema or brain swelling. Greenberg is a scientific co-founder of Juno Therapeutics. However, “one of the best attributes of immunotherapy and the future of medicine is that it’s very precise in the way that it kills tissue and spares normal tissue, so in some way, immunotherapy is less toxic (than other therapies). There are patients who are treated with checkpoint inhibitors who have essentially no side effects,” Mackall said. “That would never happen with chemotherapy. They would always have side effects. As immunotherapy continues to develop as an option for cancer treatment, experts plan to be realistic about forthcoming challenges. Experts say they hope to better understand why some patients may have different responses to immunotherapy treatments than others — and why some treatments may result in remissions instead of relapses, or vice versa. “There’s this whole problem of, you give people an immunotherapy, it looks like it’s working, and then it stops working. We get recurrences or progression after some period, and the question is, why did that happen? How can you change it?” Greenberg said. Therefore, researchers have to better understand the behavior of not only the immune system but also cancerous tumors — and it’s no simple task. “If there’s a perception that it’s easy, that’s a mistake. I think our lab has spent decades trying to figure out how to manipulate the immune response,” Greenberg said. Although smokeless tobacco products have long been linked with certain cancers, including oral cavity cancers and esophageal cancers, this is the first study to identify a specific chemical present in smokeless tobacco products that induces oral cancer in animals, according to Silvia Balbo, Ph.D., research associate at the Masonic Cancer Center of the University of Minnesota in Minneapolis, Minn.
Balbo and colleagues administered two forms of NNN called (S)-NNN and (R)-NNN to four groups of 24 rats. The rats were given either (S)-NNN alone, (R)-NNN alone, a combination of both or tap water. The total dose was approximately equivalent to the amount of (S)-NNN to which a smokeless tobacco user would be exposed from chronic use of these products. All rats assigned to (S)-NNN alone or the combination began losing weight after one year of exposure and died by 17 months. Rats assigned to (R)-NNN or tap water were terminated at 20 months. All rats assigned to (S)-NNN had esophageal tumors and demonstrated 100 percent incidence of oral tumors including tumors of the tongue, buccal mucosa, soft palate and pharynx. In contrast, researchers found oral tumors in only five of 24 rats given (R)-NNN and esophageal tumors in three of 24 rats assigned to (R)-NNN. Twelve rats given the combination of (S)-NNN and (R)-NNN had 153 esophageal tumors and 96 oral tumors. Because the Food and Drug Administration regulates tobacco products, Balbo said she hoped these results will inform regulatory decisions. Moving forward, she and her colleagues hope to identify other chemicals that may be carcinogens in smokeless tobacco and to understand what level of these chemicals is present in smokeless tobacco products. Balbo believes these findings are yet another affirmation that tobacco products should be avoided. Tobacco companies will have to begin reporting the amount of unsafe chemicals in their products and prove their so-called lower-risk alternatives to smoking such as snuff are actually safer, U.S. regulators said. The Food and Drug Administration moved today to implement pieces of a 2009 law giving the agency the authority to regulate tobacco products. The FDA released preliminary guidelines for the industry that it says can educate consumers on exactly what is in cigarettes, such as ammonia and formaldehyde, and police claims that certain tobacco products may be safer than others. The agency will share information on chemical amounts with the public within a year, Lawrence Deyton, director of the FDA’s Center for Tobacco Products, said in a telephone call with reporters. On the issue of less-risky tobacco items, the draft guidelines set up two categories: one with a higher evidence standard that lets companies claim less harm than cigarettes; and another with a lower standard that permits companies to market products as reducing exposure to unsafe ingredients. The FDA released a list of 93 chemicals that tobacco makers would have to report the quantity of in their products. The FDA is studying how best to disseminate the information publicly. The agency said in the draft on reduced-risk products — which include electronic cigarettes, tobacco lozenges, snuff and snus — that it’s asking for scientific information, including research findings related to a manufacturer’s claim, and may request data comparing the product with cigarettes. Products in the two categories will be asked to show reduced risk and a benefit to the health of tobacco and non- tobacco users before companies can market them as safer, according to the draft guidelines. The companies also could advertise the products as offering less exposure to harmful ingredients if they prove that future studies may reveal a reduction in disease and death when compared with cigarettes. Reynolds American Inc. (RAI) (RAI) and its American Snuff unit asked the FDA in July to change labels on smokeless products to: “WARNING: No tobacco product is safe, but this product presents substantially lower risks to health than cigarettes.” Current labels say the product isn’t a safe alternative to cigarettes. 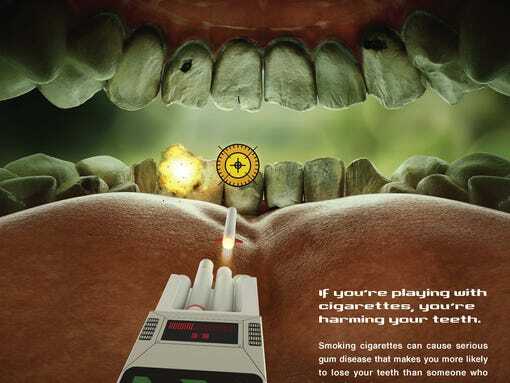 Snuff and snus are moist powder tobacco that goes under the lip either loose or in a packet. Shares of Richmond, Virginia-based Altria gained less than 1 percent to $30.87 at the close in New York, while Winston- Salem, North Carolina-based Reynolds increased 1.2 percent to $41.46. Star Scientific Inc. (CIGX) (CIGX) fell 2.4 percent to $3.28. Star Scientific filed an application with FDA in February 2011 to market its snuff product Stonewall Moist-BDL. Star, based in Glenn Allen, Virginia, said in a statement then that it was the first FDA application for approval of a tobacco product. Smokeless tobacco can cause mouth cancer, oral health diseases and nicotine addiction, according to the Atlanta-based Centers for Disease Control and Prevention. 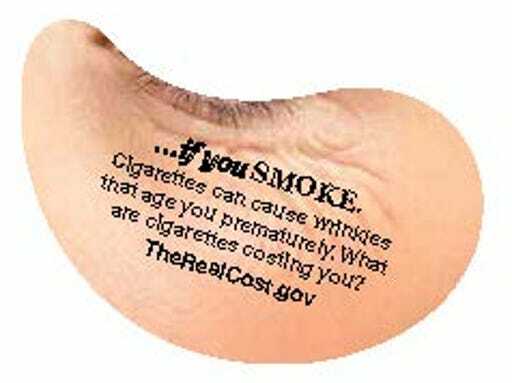 About 3.5 percent of U.S. adults used smokeless tobacco in 2009. Skoal held 25 percent of the market share the same year, followed by Copenhagen with 24 percent, according to the CDC. Independent third parties should be required to assess the health effects of modified-risk tobacco products before companies submit applications for review to the FDA, the Institute of Medicine in Washington, which advises the nation on health matters, recommended in a December report. Vaccination rates for human papillomavirus are lagging for teens, and a complicated web of confusion and misinformation may be to blame, according to public health leaders. Several strains of HPV can cause cervical cancer, and two vaccines, Gardasil and Cervarix, have been shown conclusively to defend against those strains. The Food and Drug Administration recommended in 2006 that girls receive the vaccine before they become sexually active so that they are protected at the outset. In 2009, FDA approved the use of the vaccine for boys as well. According to the Centers for Disease Control and Prevention, about 6 million people in the U.S. become infected with HPV each year and each year about 12,000 women are diagnosed with cervical cancer, leading to about 4,000 deaths. Studies have shown the vaccine to be overwhelmingly safe, CDC said. As of June 2011, about 35 million doses of Gardasil had been distributed in the United States. CDC’s adverse event tracking mechanisms reported about 18,000 adverse events, 92 percent of which were nonserious events, such as fainting, swelling at the injection site and headache. Sixty-eight deaths were reported, but there is “no unusual pattern or clustering to the deaths that would suggest that they were caused by the vaccine, and some reports indicated a cause of death unrelated to vaccination,” CDC said. And yet, fed perhaps by misinformation or squeamishness about the idea of their children becoming sexually active, some parents are opting not to vaccinate, and the vaccination rates are lagging, according to CDC. Lauren Fant receives an HPV vaccination from nurse Stephanie Pearson at a doctor’s office in Marietta, Ga., in 2007. According to an Aug. 26 study in Morbidity and Mortality Weekly Report, fewer than half of girls ages 13–17 get one dose of the three-dose vaccine, and only 32 percent get all three doses. In comparison, the meningitis and pertussis vaccines, which are also administered to adolescents, have uptake levels of nearly 63 percent and 69 percent, respectively. Coverage varies by state, with just 17.6 percent of girls in Idaho receiving three doses of the vaccine, compared to 55 percent of girls in Rhode Island. Among boys, for whom the vaccine is approved but not explicitly recommended by CDC, the coverage rate nationwide was 1.4 percent for those ages 13–17. Salganicoff also said misinformation may be leading some parents to be overcautious and delay giving the vaccine to their children. Political leaders are partly responsible for some of that misinformation, including Rep. Michele Bachmann, R-Minn., who publicly related a story in September that implied that the vaccine could cause intellectual disabilities. Health officials, including the American Academy of Pediatrics, quickly responded, noting there is no evidence that the vaccine causes serious health issues. Another possible reason for lagging vaccinations is that preteens usually do not have the regularly scheduled wellness doctor visits that babies have, according to Vanessa Cullins, MD, vice president for medical affairs at Planned Parenthood Federation of America. Getting them to medical offices to complete the HPV vaccination schedule can be difficult, she said. “Anything that requires more than one dose that is not part of a children’s schedule of vaccines tends to be more difficult for people to stay on schedule for,” she said. But recent studies may provide a way forward. Gardasil and Cervarix are given in three doses over six months. But a study published Sept. 9 in the Journal of the National Cancer Institute, which looked at two doses of Cervarix, found that two doses might be sufficient. Mandates requiring vaccination are one way to increase the number of people getting the HPV vaccine, experts noted. “The experience with immunizations is that when there’s a requirement that a child be vaccinated before he or she can attend school, that is a huge incentive for parents to get kids immunized,” Salganicoff said. When the HPV vaccine was approved by the Food and Drug Administration in 2006, there was an effort from some in both the public health community and pharmaceutical industry to encourage mandates. “There was pushback on many levels as a result,” said Salganicoff, an APHA member. Today, only Virginia and the District of Columbia mandate the vaccine as a condition for students to attend school, and both permit parents to opt out of vaccination, according to the National Conference of State Legislatures. The comparatively high vaccination rate in Rhode Island is likely due to a combination of factors, said Patricia Raymond, MPH, RN, chief of the Office of Immunization in the Rhode Island Department of Health. First, Rhode Island is a universal vaccine state, meaning the vaccine is available to providers for all children, regardless of whether they are insured. The state added the vaccine to its list of those covered in November 2006 for girls and July 2010 for boys. The state also covered adolescents who were beyond the recommended age for the vaccine by allowing them to catch up. The state also has a program called Vaccinate Before You Graduate, a school-based immunization program that up until last year focused on seniors in high school. “The idea was to catch up kids on vaccines they might have missed,” Raymond told The Nation’s Health, explaining that many colleges or jobs might require vaccines that can cost up to $1,000, so the idea was to vaccinate teens before they entered college or the workforce. Last year, that program expanded to offer the vaccines to adolescents in grades nine through 12. Both Salganicoff and Cullins see hope for increasing uptake of the vaccine in the coming years. Vaccination rates are slowing climbing, and the Affordable Care Act makes the vaccine available without co-pay, which will make it more accessible. Cullins told The Nation’s Health there is more that public health professionals can do to improve the HPV vaccination rate. She said in some cases, health care providers are not equipped to give the vaccine and so patients of those providers either go elsewhere or go without. She said while most pediatricians are vaccinators, not all obstetricians and gynecologists are. “We at Planned Parenthood feel it’s part of primary care that we should all have the vaccine available,” she said.